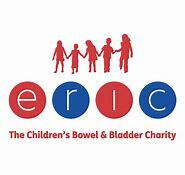 ERIC provides information and support to children, young people and families for all childhood continence problems including bed wetting, soiling and constipation, daytime wetting and potty training. The ERIC website has lots of information and free resources to download including leaflets, via www.eric.org.uk. Our web shop can also be found on the website and offers a wide range of resources for sale to help with the management of children's wetting and soiling problems. Helpline services are free (local call rate). Shop sales are competitive and help to generate funds for our support work.